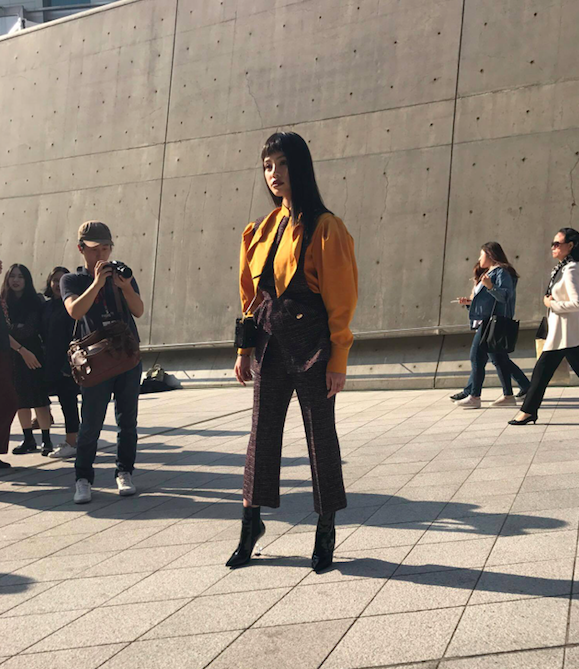 This week, DDP is bustling once again with participants of the 2018 Seoul Fashion Week. What makes SFW so special is not only the talented designers that exhibit their work every year, but the models, bloggers and even the adorable toddlers that outshine their parents in terms of style. They are equally as important as the brands that showcase their styles each season, as they portray the emerging fashion trends for every fashion year. Here are some of the latest trends that we saw. If you think SFW is another PFW or even NYFW, think again. Korea's fashion market specializes in sportswear technology and it completely dominates the industry. This is apparent in the styles of the SFW attendees. DDP is filled with people scurrying around in big neoprene jackets matched with twill skirts, as well heavy oversized hoodies paired with faux leather pants and sneakers. It contrasts from the European and American Fashion scene in that most participants wear stylish yet comfortable styles. If you saw SFW this year, tell us your thoughts--your favorite looks, shows, and more--in the comments below.